Newsweek: 20 Leaders in Law - The Pearce Law Firm, P.C. Providing Americans with trusted news and information since 1933, Newsweek is the second-largest weekly news magazine in America. To be listed by Newsweek as one of the top leaders in law is to have performed at an exceptional level worthy of national recognition. The magazine doesn’t make its selections lightly, and appearing in its pages is a sign of outstanding dedication to the legal profession. Edith Pearce and the Pearce Law Firm earned the recognition of Newsweek as one of the 20 Leaders in Law by following one simple rule: Treat every case as if it’s your own. 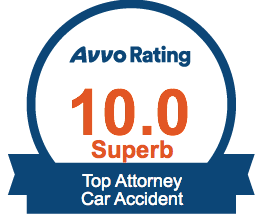 Not only will you be treated with the respect you deserve, but your case will receive the combined knowledge, experience, and legal proficiency that earned the Pearce Law Firm a place in the pages of one of America’s most well-respected news publications.